The following post presents a hopefully humorous lyrical remix of Eminem’s hit Lose Yourself, a rap song released in 2002 on the soundtrack of the film 8 Mile. 8 Mile is an autobiographical film based on the early life of the rapper Eminem (real name Marshall Mathers III), who also plays the lead character in 8 Mile. The film chronicles the early struggles he had to break into the world of rapping, alongside the growth and development of his unique style among the underground ‘rap battles’ where reputations are forged and broken. A significant character in the film is the setting itself, the old economic powerhouse city of Detroit, in Michigan, USA, which, following the collapse of some of its major motor industry, helps forge the identity and background of the characters in the film. The ‘8 Mile’ of the film title refers to the 8 Mile Road (part of the M-102 highway) in Detroit, which bisects different suburbs of Detroit and is home to the main character, and is used in this instance to typically refer to the split between the economic and racial divide on each side of the road. The original song is linked via a Youtube video below, so please do familiarize yourself with the flow of the original rap and then take a read through my light-hearted lyrical remix. Although an attempt at archaeological humour, this post none-the-less raises some pertinent issues facing the archaeological researcher and excavator. The digger’s getting closer, time’s up, over – diesel wow! This context comes once in a lifetime (yo). So here I go it’s my shot. 1. Archaeological excavation is a fundamentally destructive process, therefore it is of the utmost imperative to record exactly what is uncovered, where and when. Each stratigraphic horizon within an archaeological dig (the boundaries between different contexts, which can be either man-made or natural) are generally recorded to build up a site activity profile. Features within the stratigraphic contexts, such as cuts or fills, are also recorded and excavated, with special notice given to structural or material remains found within the discrete horizons. 2. Commercial field archaeology is not a physically easy job – it is also a demanding, time-consuming and pressurized job due to a number of variables. These can be, but are not limited, the time allowed in which to excavate as set out by the conditions of construction, the weather, the travel involved to-and-from site, the temperament of the your co-workers, the physical and mental capabilities of your own body, the constant social re-scheduling due to upcoming site unpredictability, the long-term job insecurity, etc. If you see an archaeologist in the pub, or out excavating, be sure to buy them a pint or a clap them at a job well done. They’ll love it and remember that the public don’t think that archaeology is all about the gung-ho, ethics destroying, human remains violating, probable national law-breaking, relic selling, macho aggression exploits of Nazi War Diggers (or Battlefield Archaeology, for the UK readers), which shows the profession in a context-obliterating style. 3. Safety is of paramount importance on-site. Be aware of your escape routes. Watch out for heavy machinery. Wear a hard hat if needed. Shore up that trench if you are going deep. Get certified with the Construction Skills Certification Scheme White Card, or comparative scheme, which certifies the basic safety skills for archaeological field technicians. See the incredibly helpful British Archaeological Jobs Resource guide on the White CSCS card here. 4. 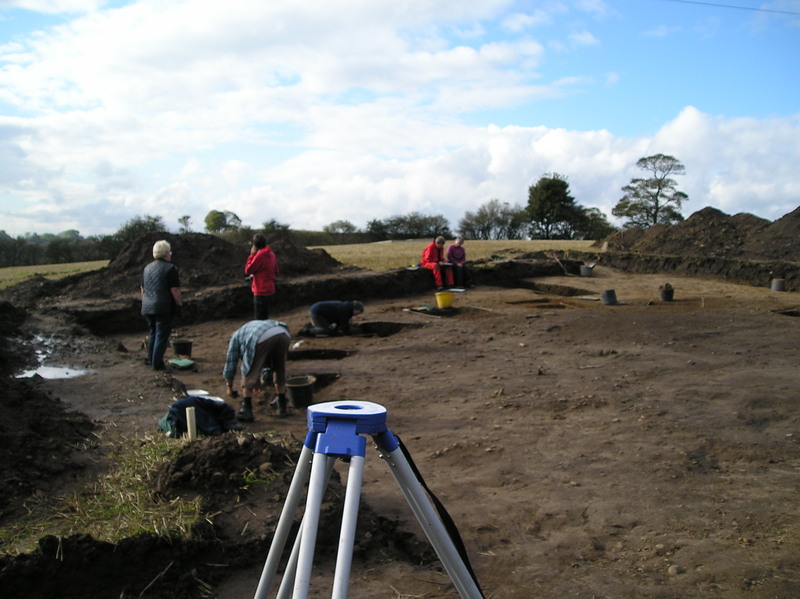 Archaeologists often work side-by-side with the construction industry; it is why archaeology took such a hit both in the localised Celtic Tiger boom and bust in Ireland, for example, and in the global recession of 2008. If there isn’t any construction going on, there aren’t going to be many excavations going on either. (Though try telling that to the academic departments who excavate at will). 5. Bone Broke, by bioarchaeologist PhD candidate Jess Beck, is one heck of a site to learn about the joys of human osteology. Check it out now. 6. The pesky rise of the Romans helped spell the end of many Iron Age cultures throughout Europe as the Roman republic (which later mutated into an Empire) battled, amalgamated or integrated their way of life with their barbarian neighbours. 7. First you freeze in the field, then you freeze in the cold artefact storeroom. 8. Archaeology, as a profession, offers many, many chances to travel the world and to dig at sites that span the length and breadth of human evolution. If you are a student, or volunteer archaeologist, you too can check out the many options available to you. 9. ‘Publish or be damned’ is a normal phrase in archaeology, despite the distinct lack of monetary incentive on behalf of the main academic publishers. If an archaeological site is excavated, but not published at all, that can lead to the distinct loss of knowledge of that site from the archaeological record (!). If you care about the archaeological record, get the findings of the dig written up, the specialist material unearthed and analysed properly, and then get it published for the whole world to know about and rejoice in. You may regret the lack of money in your wallet, but that sense of satisfaction out-weights those empty pockets (hopefully). 10. 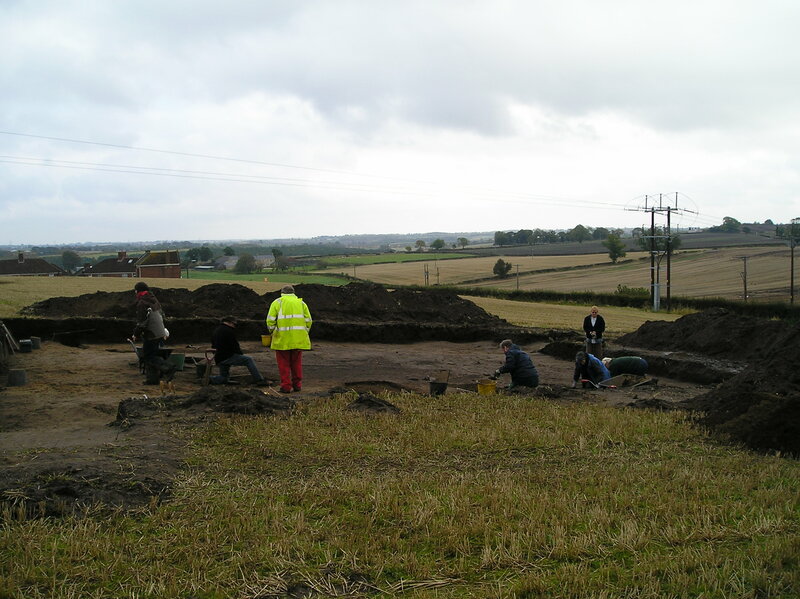 The back-filling of a trench is carried out once the archaeological site has been properly excavated and recorded as much as necessary, or is able to be. Back-filling involves moving the soil from space to another, which is a fine description of archaeological excavation itself. The tower of backfill is also a place where unlikely, but lucky, finds can be found stripped of their context. 11. Contrary to the general public perception of archaeology excavations being full of characters in the mould of Dr Indiana Jones this is somewhat gladly not the case. (Though you will, inevitability, find one or two first year archaeology students ‘ironically’ dressed up as Indiana in the first week or so of the course). At best though Dr Jones is a looter and archaeologists never loot – we record like our lives depend on it, imagining that if we don’t record the archaeological sites we survey and excavate the giant rolling rock will (rightly) chase us down and flatten us where we stand. 12. Prof. Jane Buikstra (Arizona State University) is one of the core founders of bioarchaeology (the study of the human skeleton and mummified tissue from archaeological contexts) as a discipline in its own right within the United States. Buikstra, along with other early bioarchaeology researchers, has helped to set the gold standard for skeletal analysis and she continues to be a dynamic force within the discipline. 13. Short term adjunct professor contracts in the United States and general short-term teaching contracts in the UK, alongside the general vagabond lifestyle of the field archaeologist, make being a professional archaeologist adept at moving completely at short notice. Fieldwork is also notoriously underpaid considering how educated the workforce is in comparison to other skilled workforces. The British Archaeological Jobs Resource is helping to try to curb that by launching the More Than Minima campaign in its advertising of job posts. See the 15/16 Pay and Conditions document here, which set out a useful recommendation for the companies offering commercial archaeology jobs. 14. Mike Parker Pearson (University College London) is a well-known prehistoric and funerary archaeologist, perhaps best known for researching and excavating the Wiltshire Neolithic and Bronze Age landscape in England, of which Stonehenge and Durrington Walls are one important part. His 1999 Archaeology of Death and Burial book is a must for all budding bioarchaeologists. There have been a few outrages recently in the heritage world in the United Kingdom. Firstly I want to draw your attention to the threatened closure of the Institute of Archaeology and Antiquity (IAA) at the University of Birmingham. The institute has been threatened with closure as a result of University cutbacks. It is proposed that a total of 19 staff would be left without a job, whilst only 4 out of the 18 employed archaeologists would retain their job. The remaining IAA staff would then be spread around the Universities various departments. Just how will the University provide valued and respected teaching in the subjects of archaeology, ancient history, and classics, has been the subject of heated debate and speculation by all those involved. The University has provided a statement saying that the closure of the IAA would be mitigated by the setting up of a Centre for Archaeology Research in its place. A claim which the UCU University of Birmingham website state that it would just be an online website, and not a true centre for research of academic excellence. The UCU website has a detailed entry setting out how this whole debacle has been ‘disastrously mishandled‘ from the outset. The ‘Archaeology’ facebook group has been active in calling out for signatures to help show public support for the subjects involved at the University, as it is a scenario that is likely being watched very closely by other universities that house archaeology, ancient history and classical departments. Archaeologists remain upbeat however- an unknown person has made a humorous youtube Downfall parody, showing an angry Hitler threatening to take archaeology back to the dark ages (sadly copyright has been slapped rather fast on this video!). The petition to save the IAA, and the teaching of the subjects of archaeology, ancient history and classics, can be signed here http://birminghamucu.org/2012/06/22/whos-misinforming-whom-save-the-iaa/. Meanwhile in my section of the woods, there has been much speculation and dismay at the plans to build a new housing estate on the Iron Age site of Wincobank Hill, located just inside the city of Sheffield. Information on the site of Wincobank Hill can be found here, and there is an English Heritage page about it here. A petition has been set up for signatures to be gathered showing support for new housing not to be built on the protected land. There are already worries that sections of the Iron Age enclosure are being damaged through neglect, and it would be unfortunate if more of this interesting site was lost to professionals and enthusiasts alike. The planning meeting was held recently, and it was with great pleasure that the application to build 24 new houses on the site was turned down. However, there will be further developments, and it is vital that this campaign is sustained. Signatures can still be signed here http://www.change.org/petitions/sheffield-city-council-refuse-planning-permission-for-houses-on-wincobank-hill. It is worth showing the powers that be that the public and professionals alike still care for our national heritage. 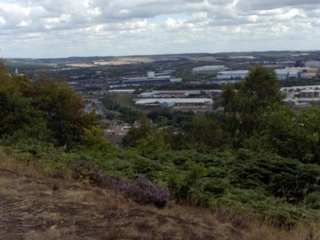 The View From Wincobank Hill (Change Petition 2012). The fight still goes on for both of these causes. Regarding Wincobank Hill near the city of Sheffield, the City Council have decided to refuse planning permission on the site. However the battle continues as the decision now goes to the Planning Inspectorate to uphold the decision of Sheffield City Council in the preservation of this little understood Iron Age/Romano-British site. You can do your part now in protecting Britain’s heritage by signing this petition here. A fairly depressing update regarding the position and tactics used by Birmingham University regarding the department of archaeology. The article can be read here, and the headline says it all, ‘The University of Birmingham throws in the trowel- as College buries Archaeology! ‘. The tactics also seems to be promoting past projects to entice new students, whilst ignoring the on-going destruction of a valued department. Fantastic news regarding the Scheduled Ancient Monument of the Iron Age site of Wincobank Hill in Sheffield- the Planning Inspector has dismissed Investates appeal to build houses on the site, and the site will remain green and building free. It is an excellent result, and an impressive show of the interest of both professionals and of the interested public.